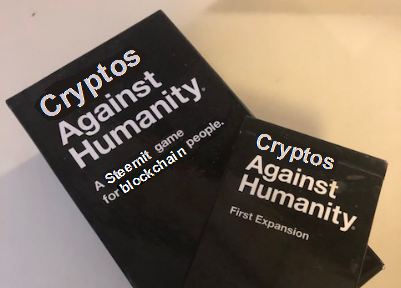 Definitely *Not* A Cards Against Humanity Contest - Week 11steemCreated with Sketch. Hello again, contestants! We made it through Week 10 while watching our wallets shrink in size by about a third. But now we're back for Week 11! Lots of good stuff to choose from! There were the serious answers (as in, something he might actually have picked) but it looks like most of you when with the sarcastic ones. By @a0i. Congratulations! I like this because it works on both levels. Since Trump really embraced the "deplorable" label, I could see him going with this. But it also works, because, let's be honest, sometimes he is pretty grotesque. But I also love all the second choices in @a0i's comment too! by @simplymike. Congratulations! I really liked this answer too, for the same reason as @a0i's. @rufusfirefly has earned 0.608 STEEM. 0.608 STEEM from the creator of the bounty! @isarmoewe has earned 0.08 STEEM. 0.076 STEEM from the creator of the bounty and 0.004 STEEM from the community! @bidesign has earned 0.078 STEEM. 0.076 STEEM from the creator of the bounty and 0.002 STEEM from the community! @sparkesy43 has earned 0.077 STEEM. 0.076 STEEM from the creator of the bounty and 0.001 STEEM from the community! 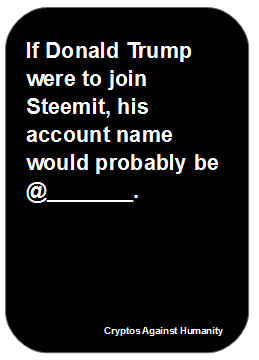 @bengy has earned 0.05 STEEM. 0.038 STEEM from the creator of the bounty and 0.012 STEEM from the community! ...get your mind out of the gutter! Robert Leslie Usinger (October 24, 1912, Fort Bragg, California – October 1, 1968, San Francisco) was an American entomologist and professor at the University of California, Berkeley and the University of California, Davis. A fellow of the Linnaean Society of London, he served as president of the Entomological Society of America in 1965-1966. He produced over 250 publications, including several popular books, and was known as an expert on the Hemiptera, the "true bugs". My boss EP by shtar. Will Hobbs is the author of nineteen novels for upper elementary, middle school and young adult readers, as well as two picture book stories. Hobbs credits his sense of audience to his fourteen years of teaching reading and English in southwest Colorado. When he turned to writing, he set his stories mostly in wild places he knew from firsthand experience. Hobbs has said he wants to “take young people into the outdoors and engage their sense of wonder.” Bearstone, his second novel, gained national attention when it took the place of Where the Red Fern Grows as the unabridged novel in Prentice-Hall’s 7th grade literature anthology. Instead I bribed him with "the brown ring disease"
Ewwww, sounds more like a threat than a bribe. a telephone tapping diploma of the Prime Minister. the book, The Fajar Generation: The University Socialist Club and the Politics of Postwar Malaya and Singapore (2009). Poh Soo Kai (Chinese: 傅樹介; pinyin: Fu Shùjiè) was a Singaporean politician, political prisoner. He was a founding member of the University Socialist Club and the People's Action Party (PAP). Dang, the article I drew was a stub. The paragraph saying the article was a stub was as interesting as the stub article itself. If you get a very short "stub" article or something written in another language, feel free to roll again though! 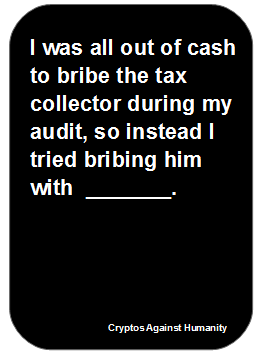 Now that is a BIG bribe, all right! Your UA account score is currently 2.942 which ranks you at #10845 across all Steem accounts. Your rank has improved 62 places in the last three days (old rank 10907). In our last Algorithmic Curation Round, consisting of 217 contributions, your post is ranked at #112.